Photo courtesy of the McCann Lab. 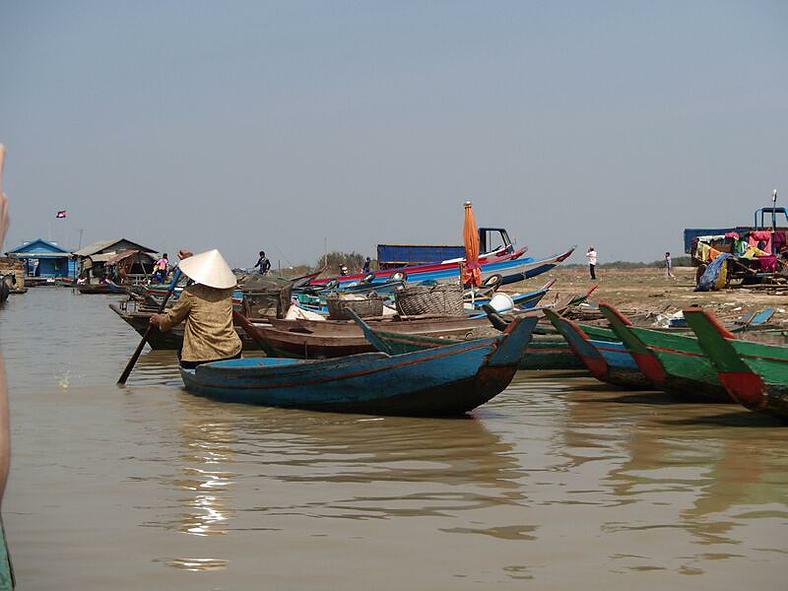 Cambodia’s Tonlé Sap Lake is the largest freshwater lake in Southeast Asia. Situated in a forested floodplain, the lake doubles in size each monsoon season, providing livelihoods to local communities and food which sustains millions of people. Our research examines food webs and the sustainability of indiscriminate fisheries based in this region. The article (below) is available online here. McCann, KS, G Gellner, BC McMeans, GW Holtgrieve, N Rooney, L Hannah, M Cooperman, and S Nam. 2015. Food webs and the sustainability of indiscriminate fisheries. Canadian Journal of Fisheries and Aquatic Sciences. An international team of researchers – from the United States, France, Canada and Cambodia – is collaborating to bring an interdisciplinary and policy oriented research programme into conversation with local stakeholders. This project reflects work in collaboration with Conservation International which has produced an excellent video exploring the complexity of human-environment interactions in this ecologically significant region.